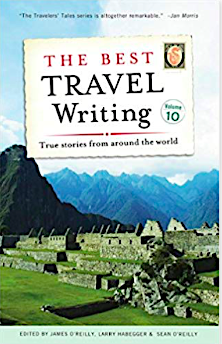 The Best Travel Writing, Volume 10 is the latest in this Travelers' Tales series launched in 2004 to celebrate the world's best travel writing — from Nobel Prize winners to emerging new writers. The points of view and perspectives are global, and themes encompass high adventure, spiritual growth, romance, hilarity and misadventure, service to humanity, and encounters with exotic cuisines and cultures. Includes winners from the annual Solas Awards for Best Travel Writing.